It’s out with the old, and in with the new. The last decade has seen many industries and businesses moving at a faster pace than ever before — disruptions and distractions are the norm. To cope with the evolution of business, high-performing leaders, executives and CEOs need to break their automatic habits that hold them back, clarify their direction whilst motivating their team to achieve goals, so everyone can gain confidence, balance and vitality. Leadership coaches develop the skills within your people to ensure productive communication and quality relationships between leaders, teams and individuals. However, many coaches still deliver leadership programs that are based on the faulty assumption that if they show people what to do, they can automatically do it using these same techniques, methods and thinking patterns that are becoming less successful in today’s radically changing global workplace. At ‘The House of Balance’, we believe it’s no longer just a leadership challenge–it is a development challenge. Leadership development has come to the point of being too individual-focused and elitist. The current model encourages people to believe that someone else is responsible for their development, be it the human resources department, their immediate manager, or trainers. We will need to help leaders out of the passenger seat and into the driver’s seat of their own development. The coaches at the House of Balance believe that by a mere transfer of greater developmental ownership to the individual, leaders develop faster and even feel responsible for their progress. The future in coaching lies in collective rather than individual leadership programs that are too content-heavy and less adaptable. Organisations and individuals should be looking at the development process on how to grow bigger minds. There is a transition occurring from the old paradigm in which leadership resided in a person or role to a new one in which leadership is a collective process that is spread throughout networks of people. The question will change from, “Who are the leaders?” to “What conditions do we need for leadership to flourish in the network?” How do we spread leadership capacity throughout the organisation and democratise leadership? The ‘House of Balance’ recognised that coaching institutes needed to adapt their coaching methods and pay more attention to the new challenges faced by executives, corporate CEOs, and high-performing leaders. Information overload. Leaders get hundreds of emails a day and need to efficiently sort through what items they should be paying attention to and how much attention to give them. Multitasking. Many “experts” think that people can’t multitask, but multitasking is a critical skill for today and tomorrow. Leaders need to be intentional about how they direct their attention to focus on the most important and appropriate things within their roles. Leaders must challenge themselves. The way to challenge yourself is to lean into the places you don’t understand or feel comfortable in. It’s like a muscle you have to keep developing. Listening from multiple perspectives. A skill that builds on empathy, one of the key elements of emotional intelligence. Once honed, it can catapult a leader’s ability to lead with impact and influence. Trusting their subordinates. Leaders must learn to measure performance on outcome rather than hours worked. Relationship management and collaboration will be central to how organizations operate in the future. In the future, leadership coaching will move from explaining to experiencing. Leadership individualisation will drive breakthrough thinking and new information based on what experience the executive needs to achieve new patterns of action. Finally, future leaders understand the value of their commitment. Their reputation precedes them and a failure to meet a commitment breaks their premium goal of keeping a perfect record of success. 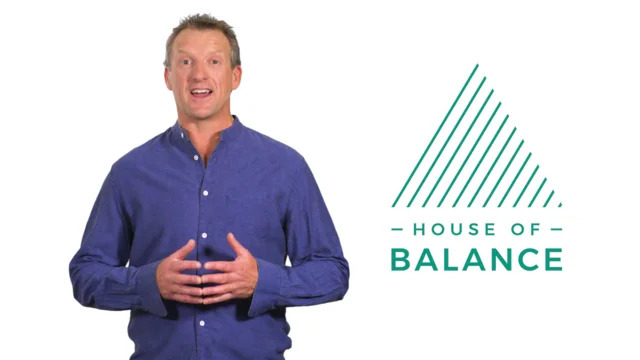 What does The House of Balance think? We believe it’s no longer just a leadership challenge – it is a development challenge. However, there appears to be a growing belief among managers and senior executives that the leadership programs that they are attending are often insufficient to help them develop their capacities to face the demands of their current roles. The table below shows what we used to do and what we need to do. 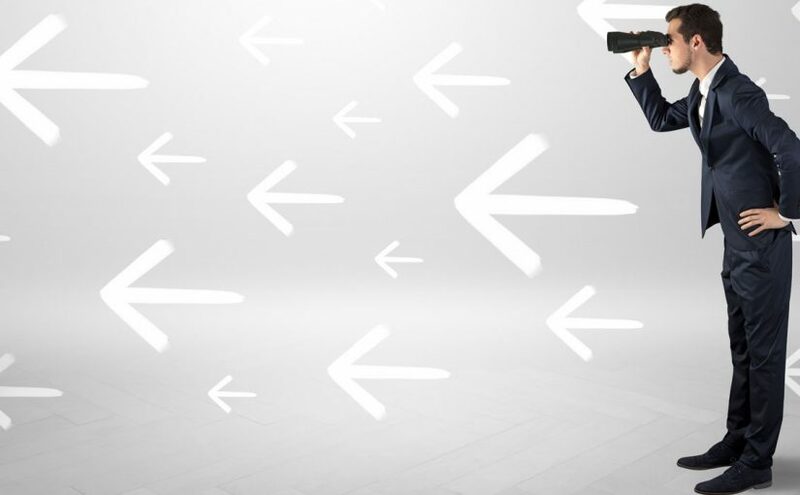 Leaders are getting better at self-directed development. They are more reflective, trying things more, asking for feedback more naturally. Leaders are now doing for themselves a lot of what coaches used to do for them. Leadership coaching is being embedded at all levels throughout organisations. Whether it’s peers, managers, HR or business partners – everyone is learning leadership and management coaching skills. Emerging leaders have evolved with regards to overpowering their limiting beliefs and acting quickly when addressed with life and work challenges through developing new habits such as reflection and curiosity. Leaders in all walks of life are learning the balance between finding ways to keep yourself healthy and making time so you have time to work on yourself – which is paramount both in 2019 and beyond. Leadership is now and should be thought of as a shared process rather than an individual skill set. Senior leaders understand a collective approach is the best way to help leadership flourish in their organisations. Leaders are working with organisations to experiment with new approaches that combine diverse ideas in new ways and share these with others. Leaders are aware they need a new mindset towards technology and digital tools that are currently available and in use already. The world we live in is not slowing down anytime soon. Emerging leaders must adopt new leadership styles and programs that support their needs and values as Millennials. With high expectations for rapid movement, promotion, and career development, the Millennial generation values personalised learning and mentorship opportunities to help them progress within a company. Today’s organisations are helping Millennials move into leadership and executive roles knowing that they will bring their love of technology, social consciousness, and purpose-driven ideals with them. With this new agile, team-based organisational paradigm, building future-ready leadership is critical to remaining competitive moving forward. Are you developing future leaders who will thrive in the challenging new marketplace? 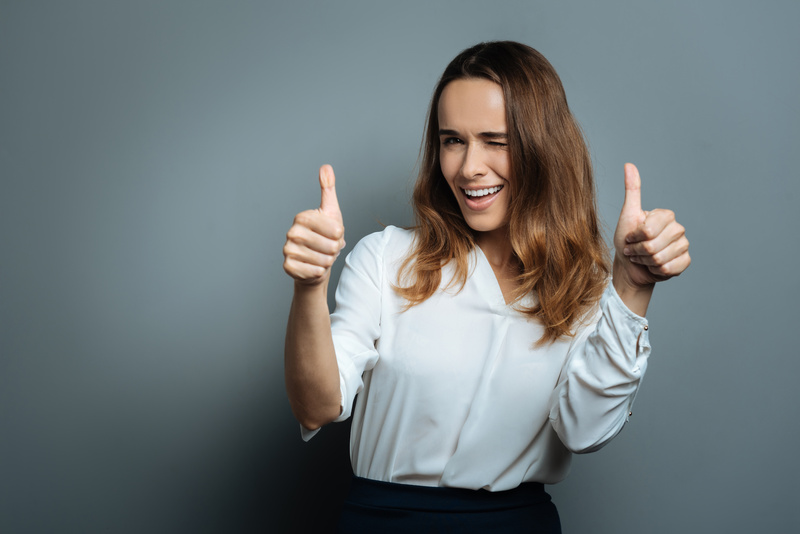 Back in 2017 HR People + Strategy and Lee Hecht Harrison conducted and designed a survey report where 82 percent of organisations believe advancing women is a critical business issue, yet only 28 percent of HR leaders are satisfied with their organisation’s ability to elevate women into leadership roles. Recognise women still take on the bulk of household chores and assume greater childcare responsibilities. To become a great leader of the future, you have to learn how other great leaders think. With reading, you’re able to stay up to date on the latest trends, discover old classics, and find enjoyment. Below are books that will set you up, challenge you and develop your future leadership skills. 1. Jab, Jab, Jab, Right Hook by Gary Vaynerchuk – Too many books skin the surface when explaining social media. Gary’s direct straight to point approach will entertain you and break it down. 2. EntreLeadership by Dave Ramsey – One of the best ways to learn, is to read about a guy who shares his years of leadership experience building his company from the ground up. 3. Good To Great by Jim Collins – This book is fantastic if you are looking to grow your business. Jim Collins studied the habits of many successful companies and shares the secrets to their success. 4. Who Moved My Cheese by Spencer Johnson – Spencer shows why we must be willing to adapt or be left behind. Make a better future. 5. YOU tility by Jay Baer – This guy is great up to date with his ideas. The book is dedicated to drawing customers to your business and making them really like you. 6. Leaders Make the Future: Ten New Leadership Skills for an Uncertain World by Robert Johansen – all the questions and answer can start with this book. 7. Lean In: Women, Work, and the Will to Lead by Sheryl Sandberg – Written by one of the most successful female executives in the world, this book empowers women to unearth their full potential in work and life. 8. Find Your Why: A Practical Guide for Discovering Purpose for You and Your Team by Simon Sinek – From the man behind ‘The Millennial Question’ TED Talk with over 180 million views, this book helps both individuals and organisations discover their purpose. The House of Balance created this post for leadership coaching that impacts your future work life balance. Whether you want to close a skill gap or increase your capacity to lead with greater impact and influence, we understand what it takes to go from good to great. 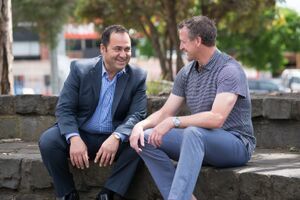 Our holistic approach to coaching facilitates deep, systemic change that will profoundly transform your perspective, performance and peace of mind – with balance.